"Back to School"- You really want to? 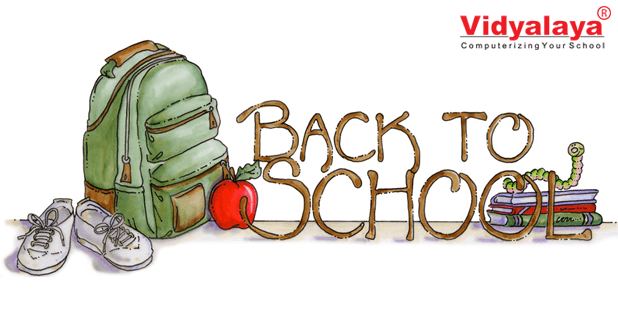 “Back to School”- You really want to? Hello readers, We all are aware of the schools reopening this week so let’s go “Growing” with Vidyalaya this year too. Well said and explained about education, we as students are more excited to go back to school with that same enthusiasm which we had last year. The main things we all run nowadays in our mind is – Why education every year..? This is the thought of every student I guess. But we enjoy a lot in schools with our friends and that is to be continued every year. Let me correctly answer about the thoughts you have. The important thing is learning in any particular manner and in any phase of life. Studying is the key to open the golden door of freedom. It enhances you with your inner capabilities. Education teaches you manners plus being and a good humanitarian. Also, its gives you the opportunity to live your life the way you want to in future. The Statistics would stroke you up to 1000 times as India is a country of 700 universities and 35,000 affiliated colleges enrolling 20 million students every year. Moreover, we have 12,85,576 schools out of which 87.30 % schools are located in the rural areas. These educational institutions are being up to just make our country youth 100% literate. Now I think you might have very well understood what is the importance of going to school every year. After long vacations, games, fun with friends, family holidays, movies, late night TV shows, Video games, music, fun and what not. Do they really feel like going back to school? How can Teachers make Teaching more exciting? Teachers firstly think that education and studying are more considerable but nowadays they too understand that curricular activities are the one which makes students coming to school. It can include health perspective activities like swimming, badminton, dancing, singing, etc so their stage fear of performing in front of people get vanished away. 2. Subsume mystery into your lessons. Learning is the most fun when it’s surprising. Don’t just circulate information; wrap it in mystery. Highlight the magical, the unusual, the unique. Ask questions. Start with a curious detail that can only be addressed by diving into the atmosphere of the subject and thoroughly exploring it. Stand a mystery at the beginning of the course and let your students work towards solving it effectively the term. Let wobbly, laugh, make fun of yourself. Don’t doubt about sacrificing your authority. In fact, the latest research says authority trunk from showing you care about your students, and making them laugh and feel good is one way to do that. Flipping your lessons will help you avoid boring in-class activities. If students watch lectures or do their own homework the night before, you can spend the course period focusing on intense learning. Everyone will enjoy the chance to follow on, instead of repeat, the material. 5. Replace lectures over conversations. Why should teaching be so passive? Forget the Sharp on the stage and engage your students in a casual conversation with you would be a good friend. This doesn’t actually mean asking more questions, but it does require a stylistic shift whereby you and your students are actively swapping ideas–not just responding to them. People with high confidence, people we respect and people who tend to have one important trait in common-they enjoy themselves. Quite literally. You’ll have an extremely better time teaching if you work on nurturing your personal relationship with yourself. Your students will have a better time, too. In today’s digital era It’s very easy to devote more time for students. Let Vidyalaya do all your administrative task and utilize your maximum time for the student in shaping up better tomorrow. Vidyalaya version Released Let’s Find Out what’s new? A Investment Initiative program with fully digital approach!!! Kriscent Techno Hub Pvt. Ltd launches Handshake program, on basis of this concept we promote new ideas that are also beneficial for your business too.